Just note: we do not offer to use XP as long as possible. On the contrary, Windows XP lacks many features, and especially those related to security. Obviously, the most logical solution would be to move to Windows 7 or to Windows 8. At the moment, all over the world almost every third PC is just XP,and it is an attractive target group for viruses and hackers. Strategy Two: if you want to use XP only in exceptional cases, you must to install the existing operating system on a virtual machine. We will teach you how to do it, also in the article you will find links to all the necessary tools. Working with Windows XP without regular updates is fraught with high risk. You can protect your XP as possible according our advices. When support and termination updates for XP ended, one of the most important component of the base security disappeared. Therefore, you must to apply last update for your operating system). You can easily adjust the Windows update through the “Control Panel | System | Automatic Updates” and download the latest updates. 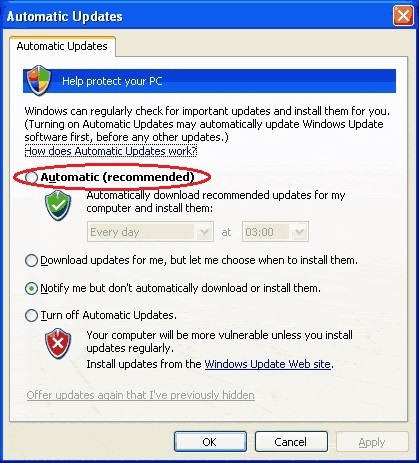 Follow these steps to access Windows Update: Click Start, and then click Help and support, click Keep your computer up-to-date with Windows Update. When you deal with a Windows, don’t stint on anti-virus protection in any case. Use anti-virus/anti-spyware software which still supports XP. Such vendors as Avira, Kaspersky or Symantec, guarantee it for at least another year. In contrast, Windows Security Essentials and Internet Explorer, no longer support the old OS. Another key moment: Windows Firewall (or another) should be running. You can check its status in the “Security Center”. 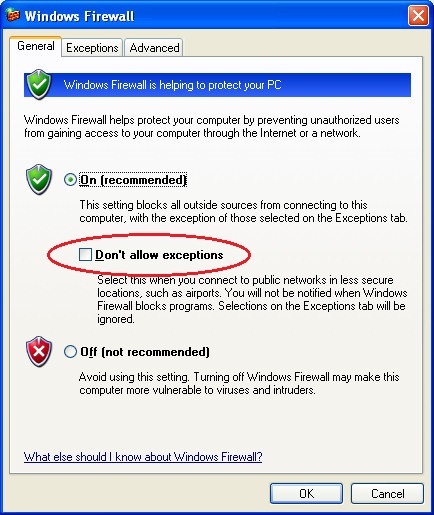 You will get extra protection by “Don’t allow exceptions” setting of a Firewall. We cannot rely on chance in software updates matters. You should view the list of installed tools, and check if your software still continues support for XP. Besides you should delete mostly unnecessary programs. 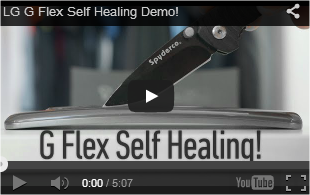 Make a list of using software and look for updates on the vendors’ websites. Windows XP doesn’t include User Account Control (UAC), which exists in modern operating systems – it appeared only in Windows Vista. It’s not so easy to work with limited rights and quickly switch to admin mode. Therefore, the majority of XP users are administrators. You should use this account only to perform the actual administration tasks. Using a limited user account is the best choice for routine work. Go to “Start | Control Panel | User Accounts” and select “Create new account”. 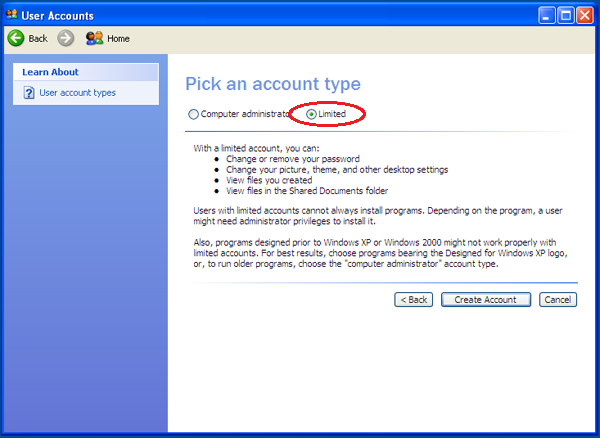 Then select “Limited” under the type of account and confirm you choice with “Create Account”. When you have created a new account, go to the review of the account, and then click “Create a password”. Enter a strong password consisting of at least eight characters, using upper and lower case letters (AZ, az), numbers (0-9) and special characters. There are applications that work bypass security features installed by Windows. But you can force program to do it using the free tool Microsoft EMET (Enhanced Mitigation Experience Toolkit). You don’t need to select “Use recommended settings” in the main menu (as during installation). EMET optimally adjusts protective functions for such well-known programs as Microsoft Office or Adobe Reader. To protect other utilities, click on “Applications” then “Add Application” and select the program file – for example, Firefox.exe. Firefox will appear in the list. EMET usually establishes the security settings by itself. 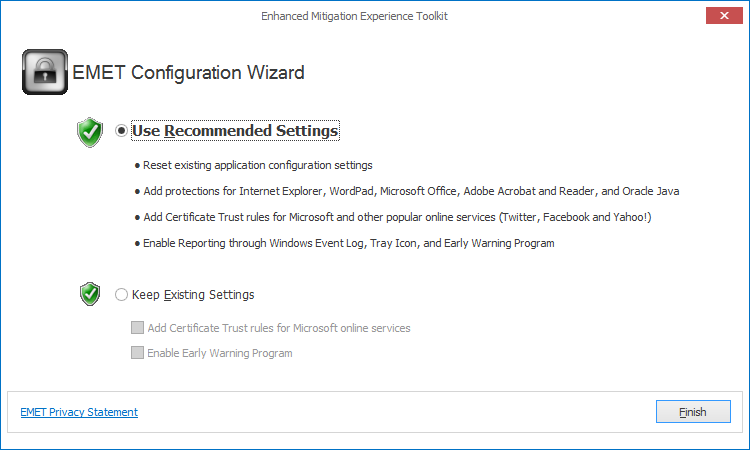 Enhanced Mitigation Experience Toolkit (EMET) – this is a set of service tools for preventing the exploitation of vulnerabilities in installed utilities. Using EMET in Windows XP does not guarantee that malicious users can not to use the vulnerability, but makes it more difficult. If you need XP occasionally you can use virtual machine, operating in Windows, Linux or OS X. How to do this we will tell you in the next article: “The Second Life of Windows XP – Virtual Machine“.